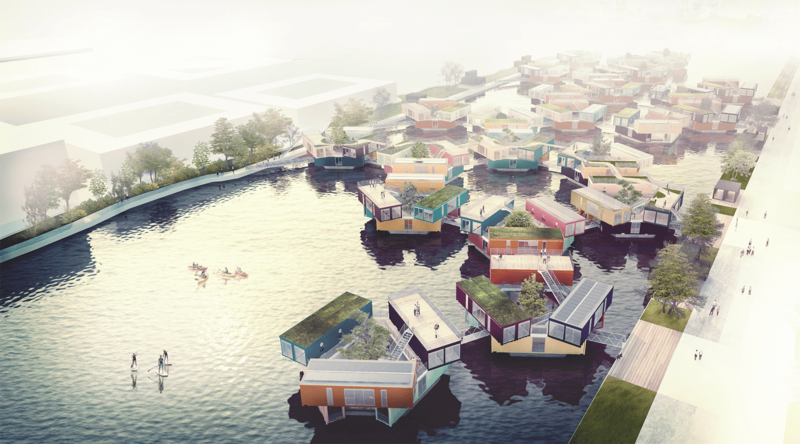 In the Swedish city of Göteborg, URBAN RIGGER has been selected to build a floating village of 24 riggers, which would give the city 288 floating accommodations. The project in Gothenburg Harbor will most likely follow the completion of the current project in Copenhagen Harbor. Why Is a harbor town like Gothenburg and URBAN RIGGER such a great match? Gothenburg’s history is a story of how the water and the harbor have defined the course of the city and anchored it to its location. Inexorably linked to the river, the city is a study in how nature and city come together, then open up to the world. Its unique location is the reason for the city’s emergence and prominence in the region, and the port authority still runs the economic and cultural development of the city. The connection to the water is central to the development, and has been an important factor when URBAN RIGGER was selected. The ways in which the city meets and interacts with the water make it possible to stay up, to play, eat, reflect, socialize, swim, dance, sunbathe, jog, sail, and skate. In short, a life created in and on the water is one of great opportunities, enjoyment and enrichment and the site in Gothenburg provides a unique opportunities. The area is currently built over with low and dense buildings that lend an attractive human scale with a natural intimacy. Living on the water is strangely appealing; anyone who has been to Venice knows. With URBAN RIGGER’s floating residential housing, the area will get a special and almost magical character. URBAN RIGGER is a migratory experimentarium for small homes and apartment blocks. The residences are located on open water. By allowing its bridges to connect to each other, a connection is created between the two quays, simultaneously allowing cross traffic on the water and connecting the city with a vibrant social bridge. If you would like to know more about how the URBAN RIGGER project was created as a means to solve the global issue regarding a lack of student housing, you can read more about the situation and our solution to this issue on the Endless Possibilities site.